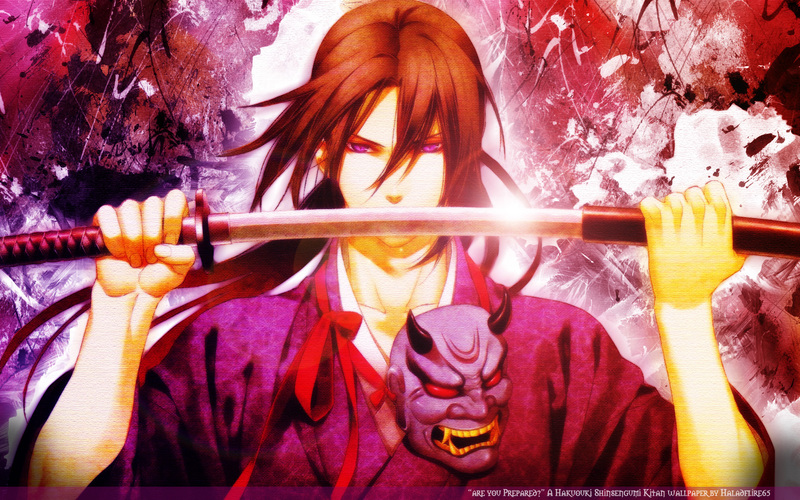 Hakuouki Shinsengumi Kitan Wallpaper: Are you Prepared? Minitokyo »	Hakuouki Shinsengumi Kitan Wallpapers » Hakuouki Shinsengumi Kitan Wallpaper: Are you Prepared? Another wallpaper involving my beloved Toshi, a sword, and a grungy background. Toshi is sooo awesome! Love it, great work! It's cool,great job and keep it up! 10 for wallpaper ! xDDD ! Arigatanx ! Cool, it's very very cool ! maybe it is simple but looks like it's more than that :) i like how grunge background mixes with foreground, the choice of colours and the use of light. good job! Oh man, i like this man!)) And the name of the picture.